Digestion is the process of breaking down of food we eat into small molecules with the help of digestive enzymes and converted into nutrients and absorbed by the body from bloodstream for growth and repair of cells. Digestion is a very important process because the carbohydrates, Proteins, fats, vitamins, minerals received from the food are vital for the functioning of a healthy body. The parts of the digestive system which helps in digestion are mouth, oesophagus, stomach, small intestine, pancreas, liver and large intestine. They help in actions such as chewing, squeezing, and mixing with the help of digestive juices, such as stomach acid, bile, and enzymes and these nutrients are stored in liver processed and delivered to the rest of your body when needed. The hormones, nervous systems and brain signals control the functions of digestive muscles to contract and relax to push food through your intestines. 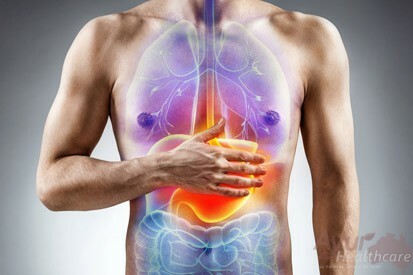 The digestive problems are the result of the structural or functional impairment of the digestive organs, differences in their nature of interaction; imbalance or pathologies .They determines the symptoms like bloating, stomach pain, constipation, heartburn, anorexia, dyspepsia, gastritis, acid reflux, nausea and vomiting, chest pain, hiccups, abdominal pain, constipation and the presentation of various diseases. Digestive process in Ayur Healthcare is attributed to the proper functioning of the Agni (the digestive fire).Agni is maintained by samana and apana Vayu which are the subtypes of Vata located near to Agni which helps in the digestion and absorption of nutrients into the body and the release of waste products, Pachaka pitha helps in the proper release of hormones and signals and kledaka Kapha helps in the absorption of nutrients and moisturising the cells. The faulty function of apana Vayu result in the bloating, constipation and diarrhea, the faulty function of the Pachaka pitha mainly causes indigestion, dyspepsia, gastritis, acid reflux, nausea and vomiting. The imbalance of the Kapha results in the aama Doṣhā which gets accumulated as toxins in the body and block various channels which supply nutrients to different cells and tissues. It can vary from person to person depending upon their body constitution of Tridosha. The aim of the Ayurvedic treatment is to stimulate the Agni, balance the Doshas and bring back the harmonious relationship between the organs and organ systems that aid in digestion. Half of the Australian population suffers from some kind of digestive problems in a year round period. The bowel cancer and bowel diseases are alarmingly increasing at a rate of 1in 20 people among the Australian population according to the statistics. The changing food habits and the sedentary life style choices can be considered as the main culprit in these cases. The good news is that most of the digestive ailments are preventable. The Ayurvedic screening programs are specially formulated to prevent the occurrence of diseases and to cure them. Proper choice of food and proper way of eating are the key to successful nutrition. Take time to sit and relax and then have your food because fuzzy eating without proper chewing hinder the digestion.Cereals, fruits, vegetables, grains, oats, pulses and juices should be included in the diet. It’s not the quantity of food that matters but the quality of food. Good choice of nutritious food helps in the building up of essential components of the body and maintaining the ph balance of the system. The ph balance is very important becausemost of the digestive enzymes get denatured in a high or low PH environment as they are very sensitive to ph. Panchakarma will help to cleanse and rejuvenate the whole system by clearing out aama, the toxin which is the root cause for the ph imbalance in the body. The preparatory procedures like snehana (oleation) and Swedana (fomentation) can be used judiciously according to the clinical condition under the guidance of an Ayurvedic practitioner. Following the preparatory procedures one should go through vamana, Virechana, vasthi and Nasya. The diseases eliminated through the Panchakarma are supposed to be removed from its grass root level. Virechana: Virechana is mainly pitha samana and acts till the intestines. Also in the process of formation of toxins, blood is also vitiated. Through Virechana we can achieve optimized quality of fluid volume. Virechana helps in clearing out the obstruction of channels through elimination of morbid Doshas through the act of purgation. Virechana has a high impact on neuronal systems. It helps in the reduction of fasting and postprandial blood sugar, cholesterol, triglycerides, and increase in HDL level which can provide you with additional benefits. Vasthi: Vasthi has a direct effect on Vata, the controlling factor of all other Doshas and dhatus. The medicines of the vasthi once injected get absorbed and release molecules which act as drug carriers and help in breaking the pathology of the disease. The effect varies according to the nature of vasthi and medicine used. Nasya: Nasya interacts with the endocrine functions and balancing of hormones, helps in controlling the emotional and behavioural forms. Many herbal formulations like oils, decoctions, asavas and powders can be used for the therapeutical purpose. Along with the Panchakarma treatment various medicinal herbal preparations can also be used in the form of decoctions, powders, tablets, oils and ghee’s to deal with the digestive disorders. Experience the positive vibes from Ayur Healthcare for your final relief from Digestive disorders!! !